Hello! 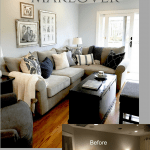 When we redid Melina’s living and dining rooms. suddenly her family room next to the kitchen didn’t look so hot. You know how that happens. 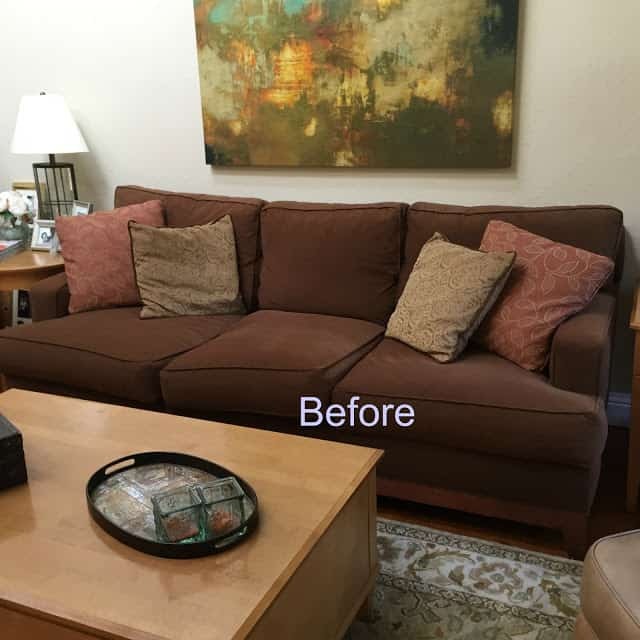 It had been well-loved through two teenagers but it was time to change the brown couch, dilapidated pillows, etc. 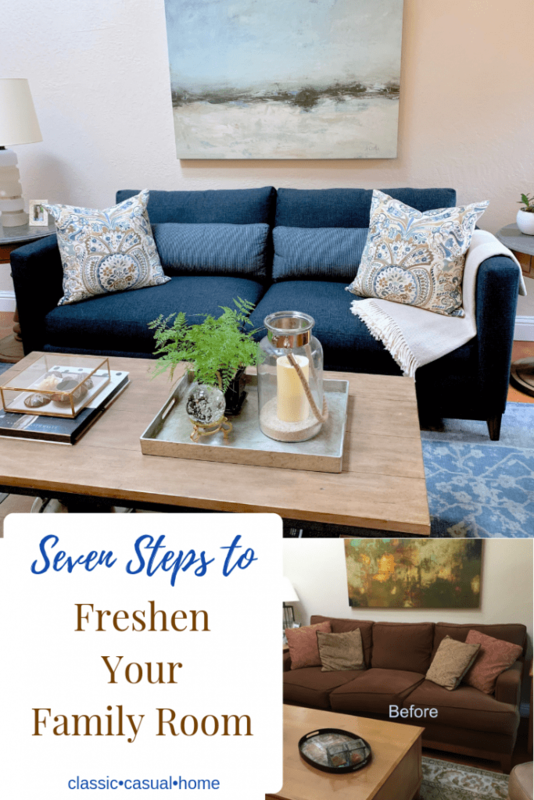 Here are the steps we used to freshen the family room. So that you can envision the end… we had several reiterations of preferences until Melina and I landed on this. This doesn’t mean you have to buy everything at once…but at least you have the direction. Buy the best you can afford. 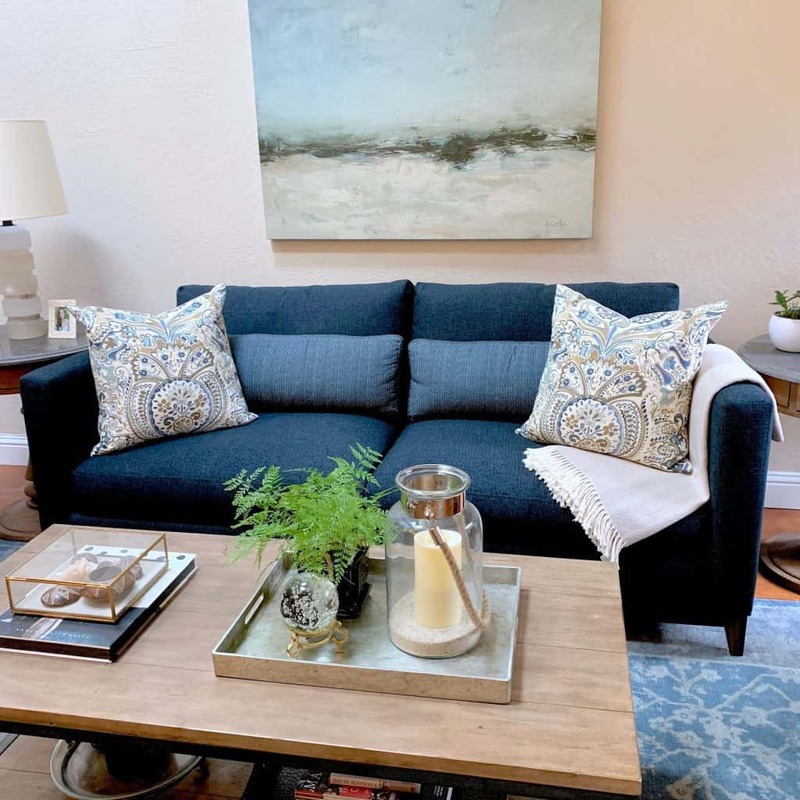 This is an updated look from Crate and Barrel called the Taraval Oak Wood Base sofa. It comes with pretty contrasting lumbar pillows. The square pillows were custom-made. I like the two-seat cushion. Your prettiest books belong on the coffee table. I love to use a tray like this one or a glass box to hold small things with a fresh element like a plant or flowers (low enough as to not block television viewing). like these leather chairs that are comfortable and stylish. Melina has had the brass candlesticks for a while. I love that she bought the curved ones that I featured on my blog. They are sold out now at World Market. These are similar. 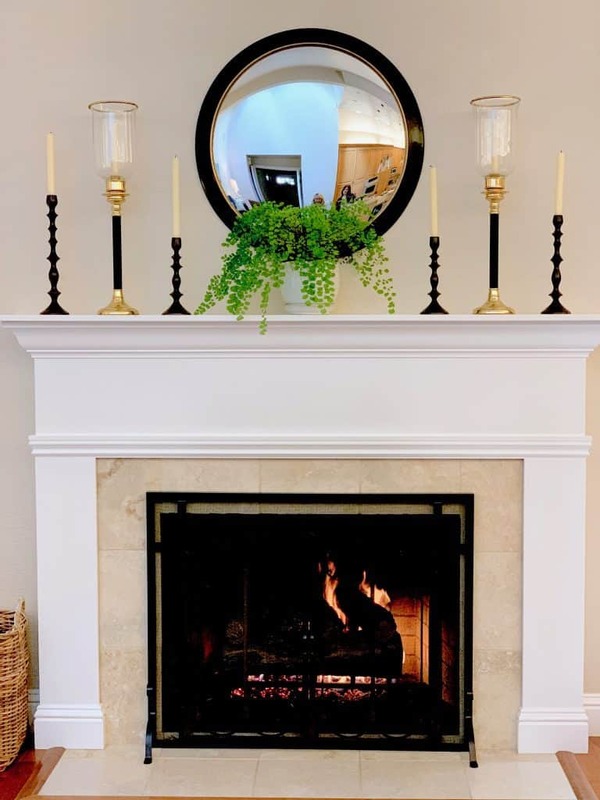 The convex mirror is from Ballard Designs. She has a knack for keeping her maidenhair fern alive…I sure don’t. 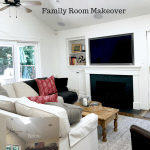 And just removing clutter in your family room will give it a quick update! Like this stacked alabaster lamp from Visual Comfort. They feel so fresh and organic. No two are alike. 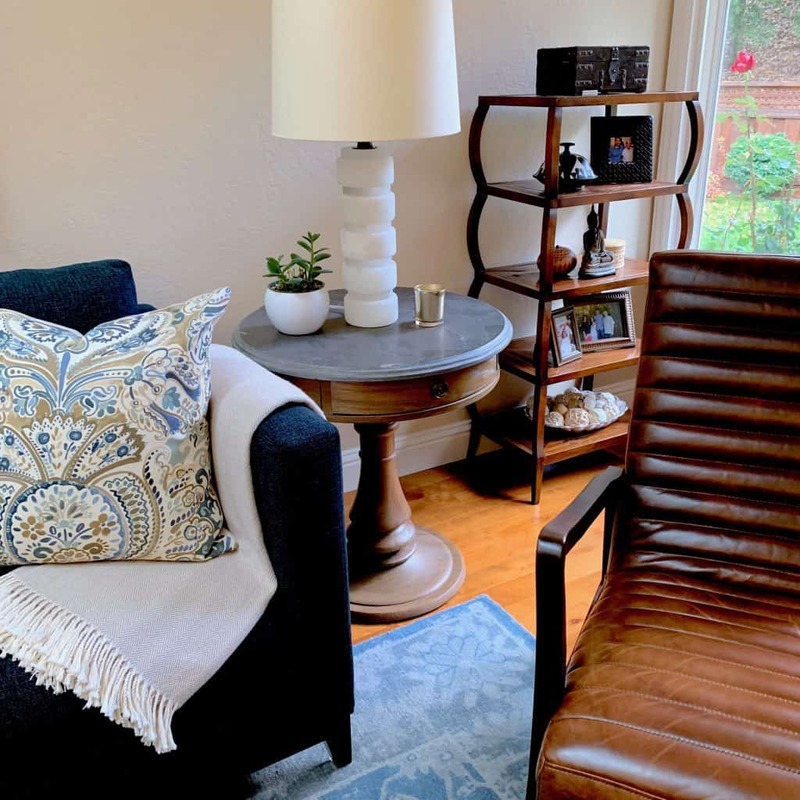 We placed them on top of matching round stone topped end tables from Arhaus. I don’t see the tables on their website anymore (good thing we grabbed them, Melina). Mix in other materials like stone or iron with wood. 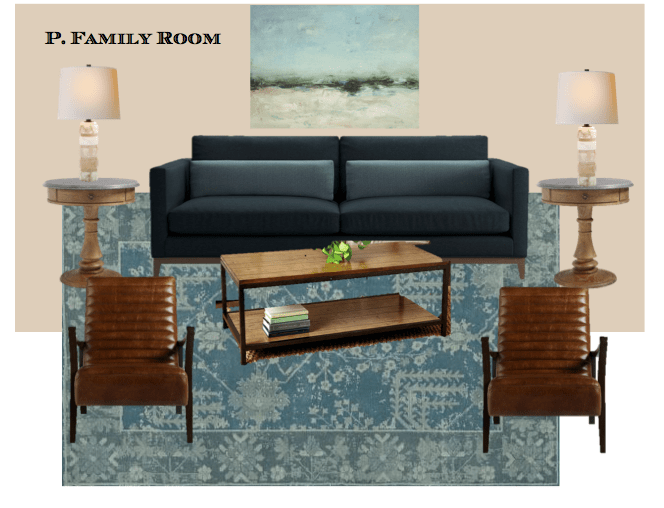 To make sure the colors worked together, we selected the rug at the same time as we chose the sofa fabric. 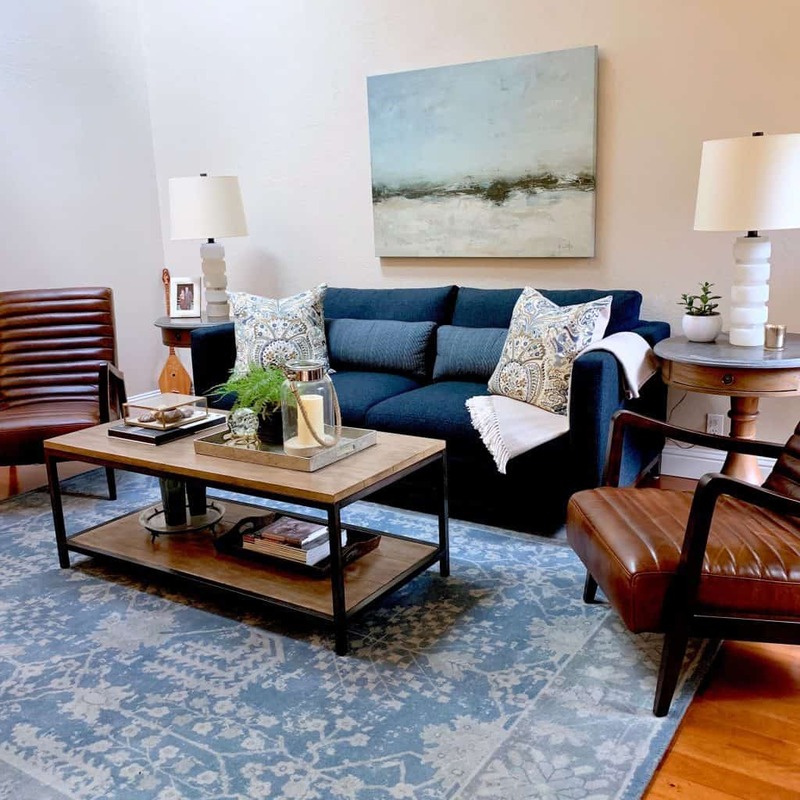 This is a really pretty and soft wool rug from Pottery Barn. Thanks, Melina, for letting me show our teamwork! Isn’t she darling? It’s very pretty and I love the colors. Rugs are a good item to buy second-hand if you’re on a budget. You just need time to be choosy. I would like a frame on the art, but that’s just me. Such a beautiful room. Love the sofa and very cool chairs!!! 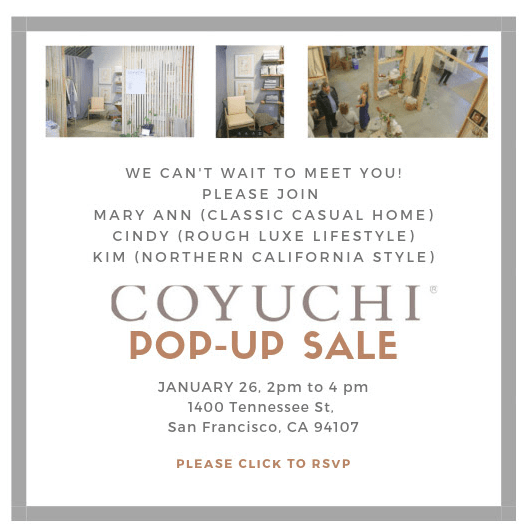 Wish I lived in California–I’d come to the pop-up! Lovely transformation! You always do such a beautiful job. Curious…what’s on the opposite side of the room? Across from the sofa? The kitchen. There is a television built into the island. People can sit here and keep the cook company. I love your family room, it is pretty warm and cozy. I have your same pillow material to make a couple of small pillows for my yellow couch. Your blog/website is always my first stop when I need ideas or I am planning a project! to miss one, I tend to search/read when I have time. What are your thoughts? That works well, too, Kim. With the blog I follow, I like to get their email though to make sure I check. You are right about so much email…that’s why I’ve tried to cut down the number I send to once a week, or so. I see I need to sign up for emails. I can’t miss info like implants! Mary Ann, you did a lovely job refreshing this room. The colors add so much brightness, and I like the addition of the contemporary chairs. Good luck on your implants! Love your blog! I know. I wanted to respond to the email, but since it wasn’t on the post…anyway, your teeth look great. I also have an expensive mouth due to night grinding. I just got a new mouthpiece that seems to have helped a lot. It was expensive, but the pain has decreased substantially and am also hoping the damage I do while unconscious will be reduced. I did buy a custom mouthguard that was $400 and I wear it every night. I’m glad you are doing better, Susie!! You worked your magic on this space. Beautiful coffee table styling. You are the master at using trays. I need you to give me some lessons!! 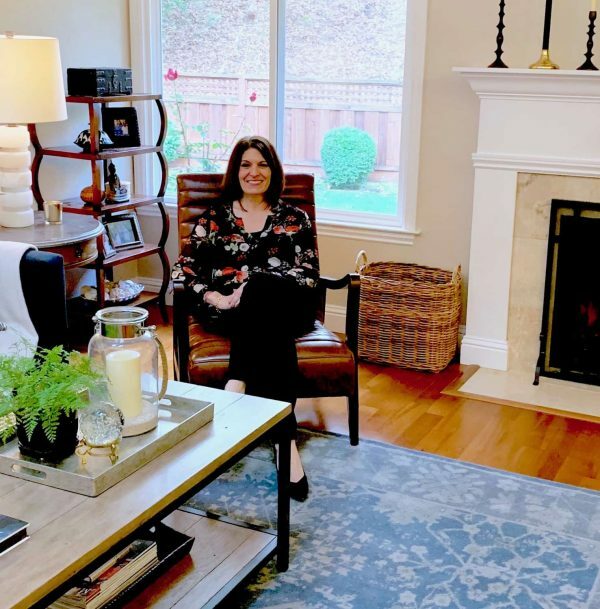 I love YOUR coffee table styling, Cindy! Beautiful job Mary Ann! However, I’m not at all surprised because you are the queen of makeovers. My master bedroom and bath need some much needed love with a complete makeover but I don’t even know where to begin! Good luck with you “teeth” implants! I did get a laugh about what you said about not being on your blog email list! You always say the sweetest things, Gail! 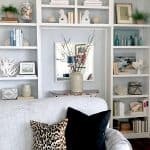 Thanks for the great tips on refreshing a family room! About teeth grinding….check into magnesium. I know it sounds strange but magnesium is an effective muscle relaxant. has been recommended for teeth grinding. I wish you well with your teeth! I have also had a lot of dental work. Doing very well now but can’t count the number of hours I spent in the dental chair. Ann, I absolutely will check into Magnesium TODAY. Thanks so much. Good luck to you! Just started following you from Cindy’s blog-Love all the great ideas, and your smile is beautiful! Welcome, Debbee! If you got my email, you know I was lamenting about my dental work! Have a good day! Love your style and love to copy it lol! Where is the couch painting from? Great tips I can follow. Thanks. It’s from Ballard. Thanks, Carol! It looks beautiful! 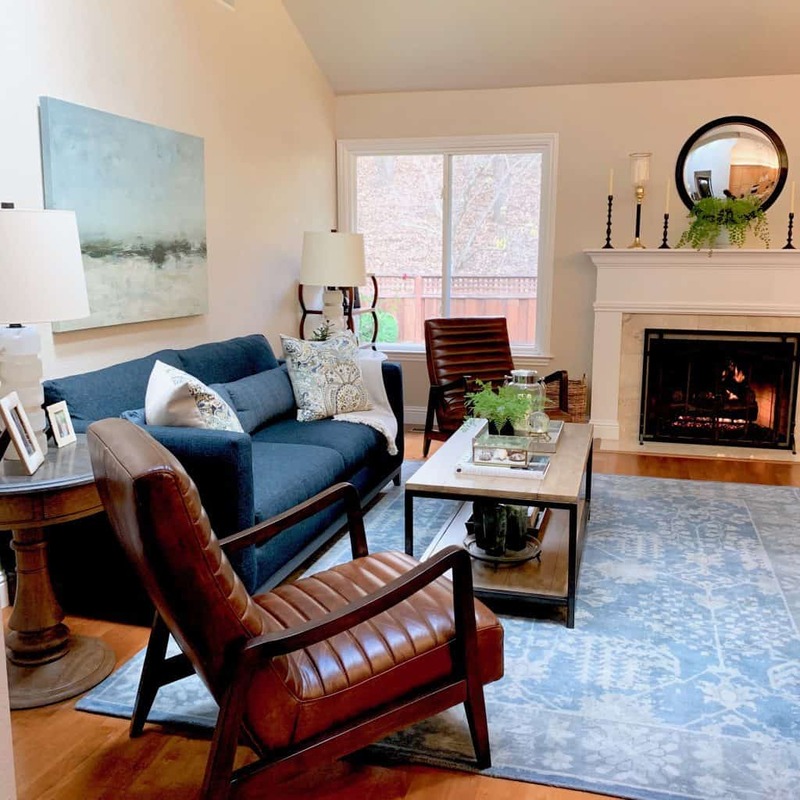 I love it all, especially the chairs and the fireplace styling! Do you know where the candlesticks with the hurricane glass are from? I have been looking for something like that for my fireplace mantel. World Market but no longer there. There is a similar link to some from PB.